In the heart of America, in the world's most secure prison, something horrible is growing in the dark. A wave of cannibalism and fear is sweeping across the heartland, spreading carnage and infection in its wake. Captain Bannerman Clark of the National Guard has been tasked with an impossible mission: discover what is happening -- and then stop it before it annihilates Los Angeles. In California, he discovers a woman trapped in a hospital overrun with violent madmen. She may hold the secret to the Epidemic but she has lost everything -- even her name. David Wellington's first novel, Monster Island, explored a world overcome by horror and the few people strong enough to survive. Now he takes us back in time to where it all began -- to the day the dead began to rise. David Wellington was born in Pittsburgh, Pennsylvania in 1971. He attended Penn State and received there an MFA in creative writing. He works as an archivist for the United Nations in New York City. 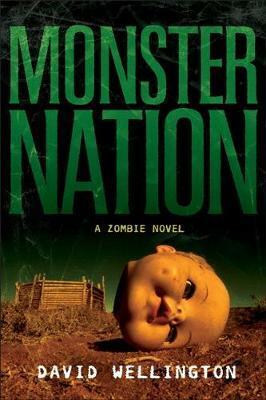 In 2003 he began work on the website "www.monsternovel.com," where his novel Monster Island was serialized on-line over the course of five months and quickly became an internet cult phenomenon.